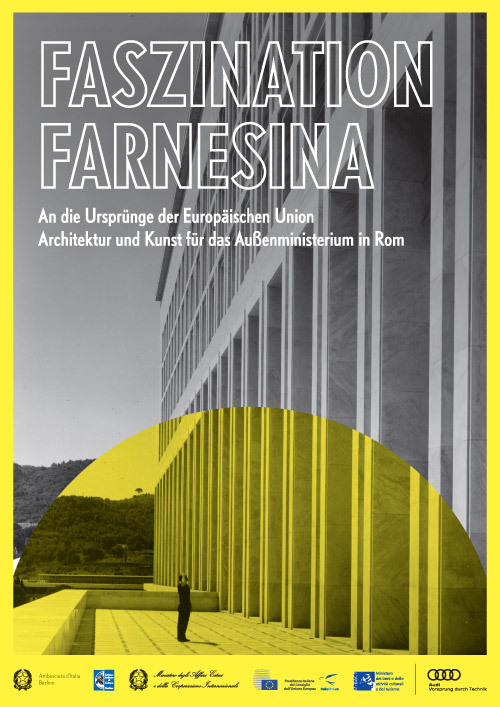 The Italian embassy in Berlin asked me to develop some posters and invitations for the exhibition Faszination Farnesina showing some artworks, plans and sketches connected to the Farnesina Building in Rome. With the goal of creating something minimal, I worked with an image shift. 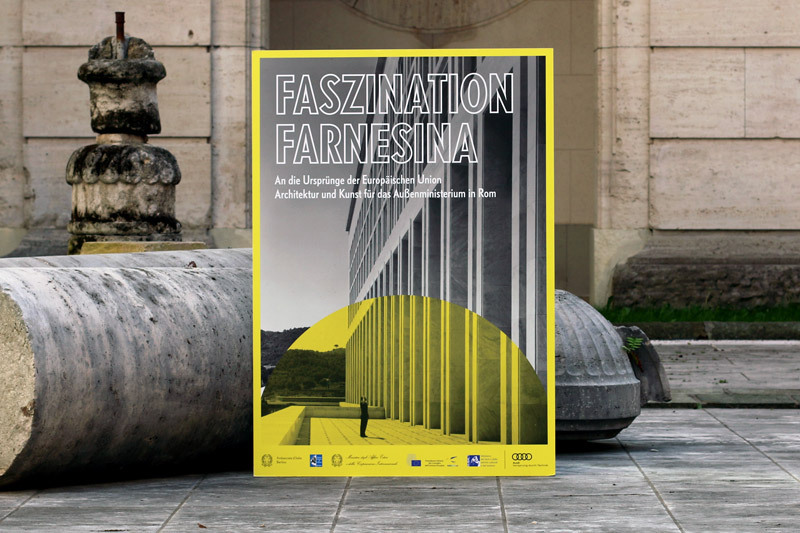 Ultimately it gives the effect of a lens and a focus on the building.